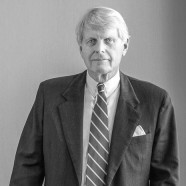 THOMAS G. SCHULTZ is a founding shareholder of LSRCF. Mr. Schultz focuses his practice on civil litigation, receiverships and arbitration. Co-Author of Annotated Florida Rules of Civil Procedure Forms Book (West, 1985 with supplements). Martindale-Hubbell “AV” Rated for more than 30 years. Recognized as one of Florida’s Top Lawyers by the South Florida Legal Guide. Served as lead counsel in hundreds of complex commercial litigation cases over a 30-year period, including appeals at all levels of state and federal courts in Florida. Tried cases in state and federal courts in California, Texas, Georgia, Illinois, Delaware, Massachusetts, and Puerto Rico. Litigated cases involving disputes arising in the following areas: corporate governance, business contracts, distribution agreements, accounting and legal malpractice, probate proceedings, trust disputes, partnership governance, major real estate finance agreements, real estate transactions and broker litigation, insurance coverage and bad faith litigation. Court appointments include receiverships arising from United States Securities and Exchange Commission enforcement actions; federal receiverships resulting from Federal Trade Commission enforcement actions; federal receiverships resulting from Federal Communications Commission enforcement actions; Fee and Cost Examiner in major federal class action cases; numerous appointments as Special Master in state and federal actions to conduct (with parties’ consent) non-jury trials and recommend rulings on dispositive motions and discovery disputes. Arbitration panel appointments serving as non-neutral and neutral panel member in numerous ad hoc and institute sponsored major complex arbitration proceedings. Settlement Compliance Arbitrator enforcing Court-approved settlement in major HMO class action. Twenty-five years of Mediation experience includes serving as court appointed and party appointed mediator in major multi-party litigations including a $300 million commodities fraud national class action. Testified as expert witness in numerous major attorneys’ fees litigations, including a $40 million fee claim in a national class action.